Depending on a song’s genre, and of course the artist’s vision, the volume it was originally recorded might be louder or quieter. There’s also a chance the volume level could fluctuate throughout the track. 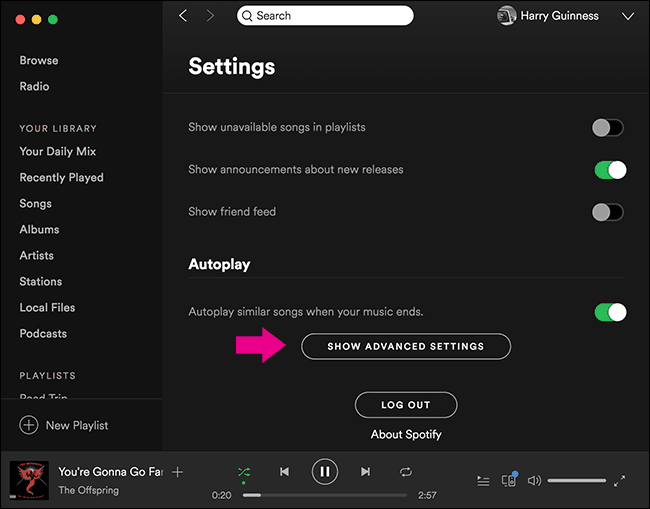 The standard practices change from one era to another which is why Spotify is set to automatically normalize the volumes between tracks. 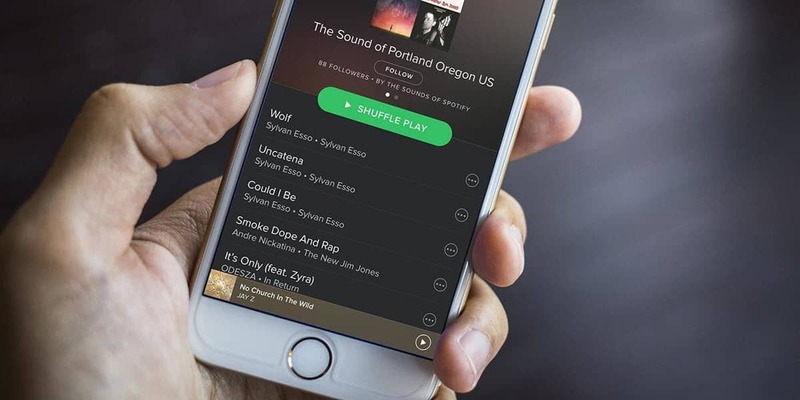 This is not necessarily a bad thing – it will prevent the possibility of a song blowing out your ears while the next will play much at a much lower volume. 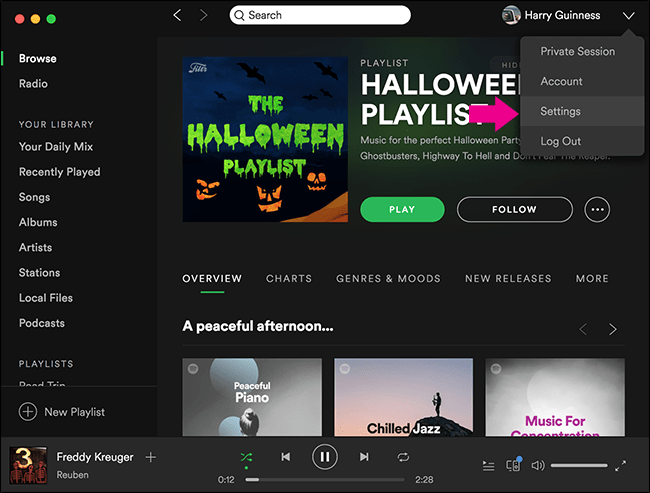 Open Spotify, click the down arrow next to your username and select Settings from the drop-down menu. Scroll down to the bottom of the Settings pane and click the option called “Show Advanced Settings”. 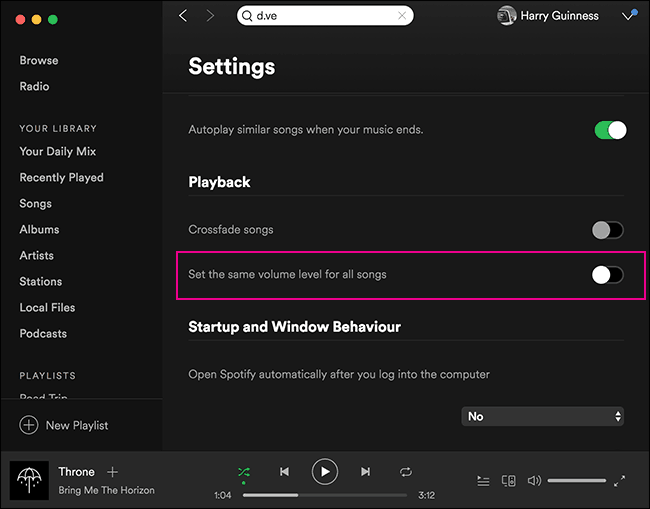 In the Playback section, enable the “Set the same volume level for all songs” option. From then on, each track will be played at its original volume level. 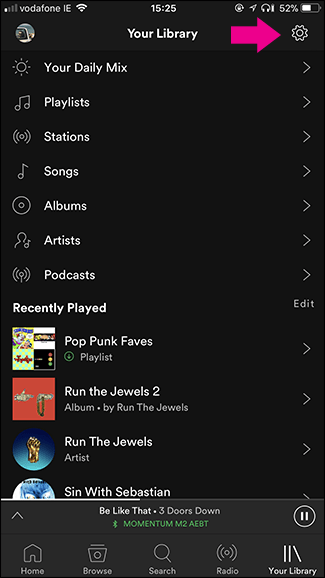 Launch Spotify and open Your Library. Tap the cog icon to open the Settings menu. 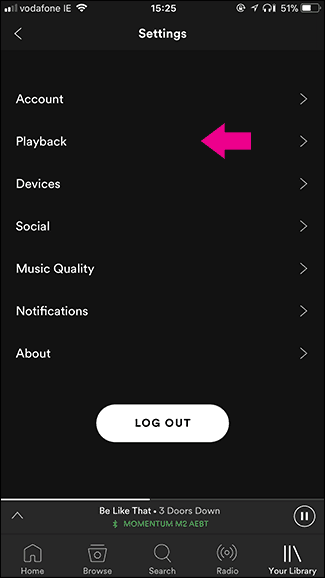 In Settings, tap the Playback option. 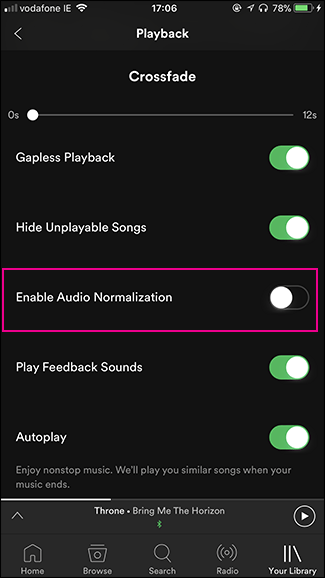 Find the option called “Enable Audio Normalization” and disable it. That’s it! Connect with us on Facebook, Twitter, and Google+.